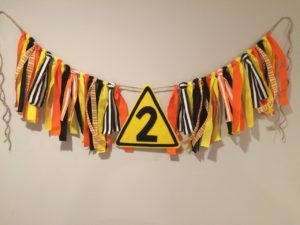 At Glitz and Glamz, banners and tutus are created to add to your celebrations. Whether you are looking for a banner to decorate for your little one’s birthday, or just want a tutu to play dress up with your princess, Stefanie can make that happen. The banners come in two different sizes. Use for a special party by dressing up a highchair or hanging one on the wall. Photographers also love to use them in their backdrops for photoshoots! 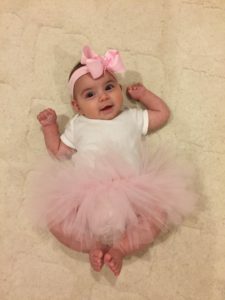 Tutus are available in three different sizes of newborn, infant, and toddler. There are so many beautiful colors to choose from. They work great for photoshoots, part of a birthday outfit, or just to wear for fun! The inspiration for Glitz and Glamz Designs started with two very sassy little girls. Stefanie is a stay at home mom who loves to have tons of fun playing and celebrating even the littlest moments with her daughters. Each item is handmade with lots of love and care. Custom orders are always welcome and encouraged. If you need an item in a different size, color or theme, just ask! You can contact Stefanie through her Etsy shop.